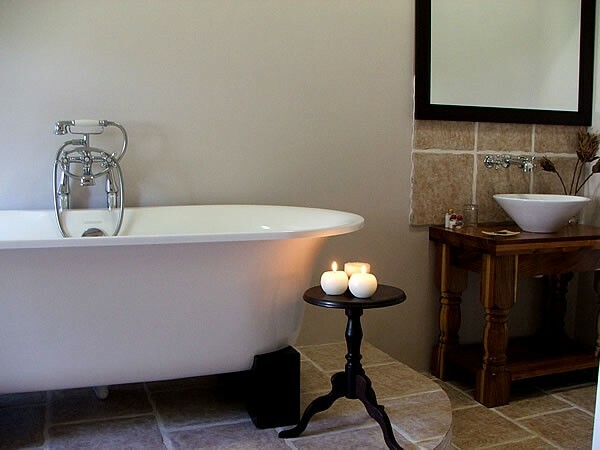 Self-catering from R 400 per person sharing. 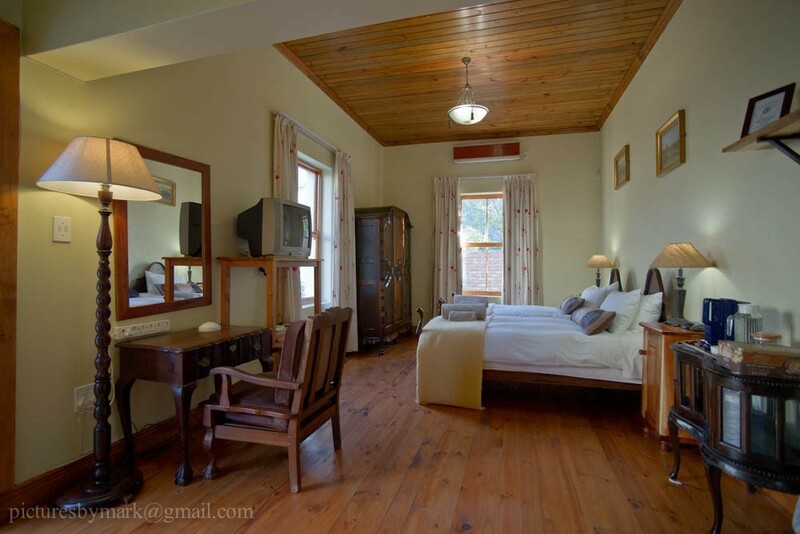 Guesthouse rooms from R 595 per person sharing. 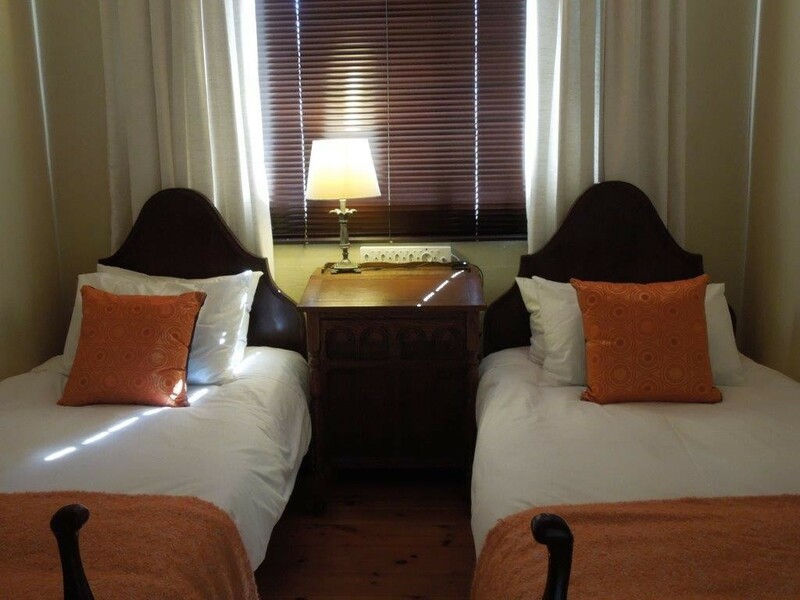 Convenient for the heart of town but in a quiet area is the Angler and Antelope guest house. 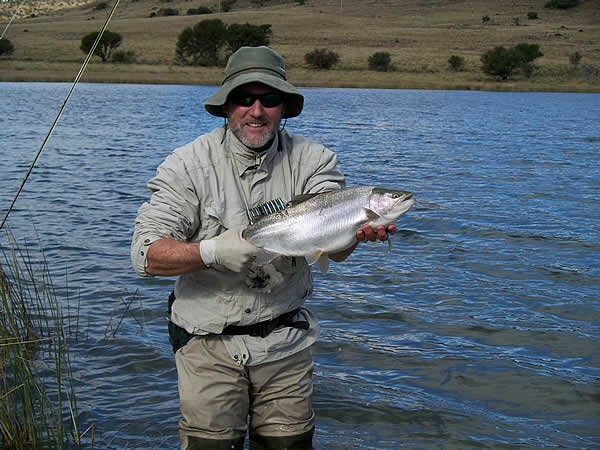 This is an attractive base for anglers who would like to take advantage of the great fishing opportunities to be found in the Somerset East area. Alan is a noted angler and has access to various private fishing locations. 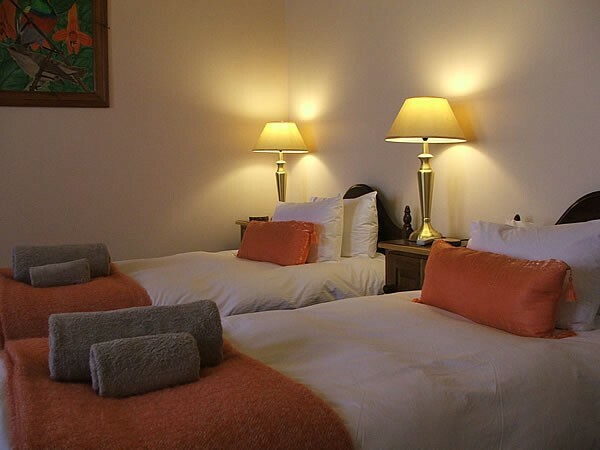 The guest house offers accommodation in seven rooms with a variety of configurations to suit you. The decor of each room is customised and decorated so as to reflect the personalities of the former inhabitants of the house. 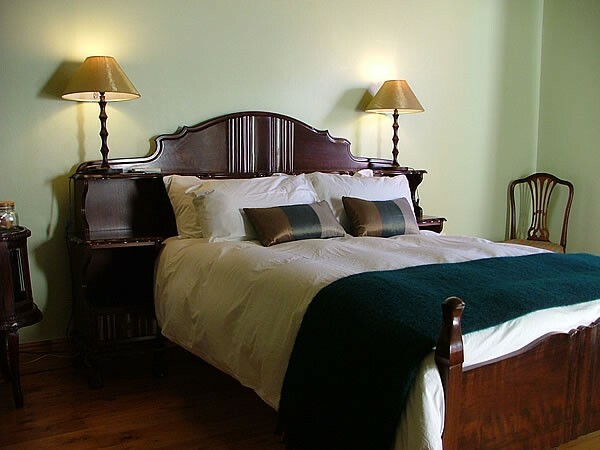 Accommodation at the Angler and Antelope can be on either a B&B or a dinner with B&B basis. 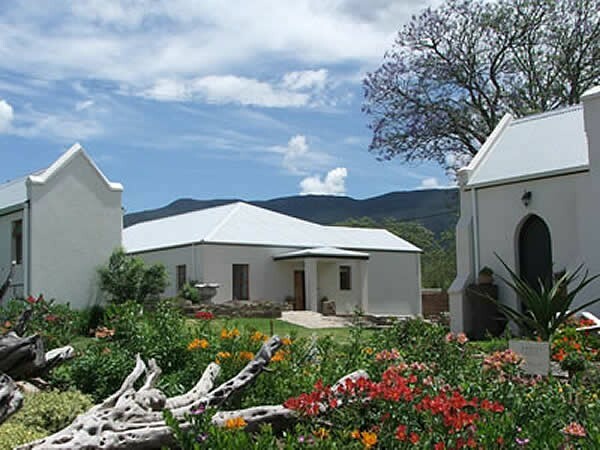 Meals are wholesome South African country cooking and have the unique quality of being served in the former church of St Francis, a Roman Catholic church built in 1906 and presently serving as dining room, lounge, pub and kitchen to the guest house. Alan being the angler he is, fresh trout is a particular speciality but please give advance notice as we serve only fresh trout and a catch can not be guaranteed! 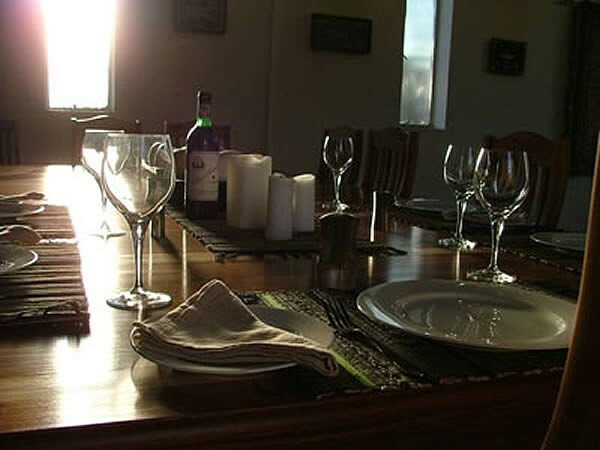 Small private functions of between 6 and 20 people can also be held at the Angler and Antelope. Being a totally private venue it is ideal for select corporate functions. The pub is fully licensed with a fine selection of Malt whiskies as well as South African beers and wines. Food can vary from a full three course meal to finger snacks. Contact us to discuss your needs. Somerset East is a small town, so nothing is far away, but what is better than parking your vehicle, and being able to walk to the centre of town in less than 5 minutes. Not that you need to walk to town to have a delicious meal, just ask Alan and Annabelle what's on the menu if you get to the guesthouse early enough. 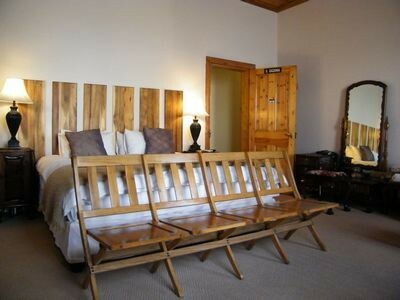 Relax in the garden or cool down in your air-conditioned room, the choice is up to you...cold beer or perhaps one of the whiskies from the pub? The selection is up to over 70 whiskies now! 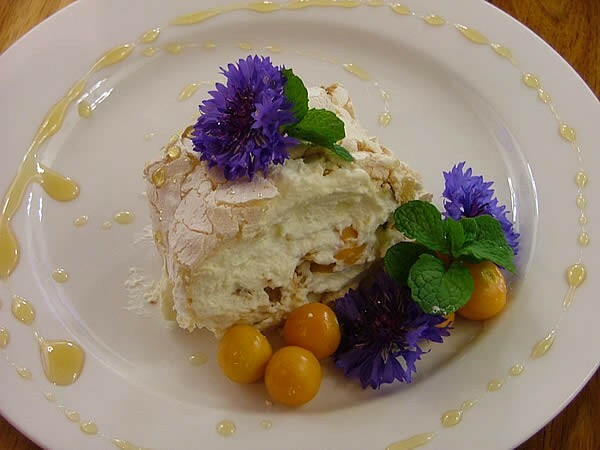 Visit the Angler and Antelope website to have a look at the guesthouse rooms or self-catering cottages, and have a browse through the menu to whet your appetite! Small private functions of between 6 and 20 people can also be held at the Angler and Antelope. 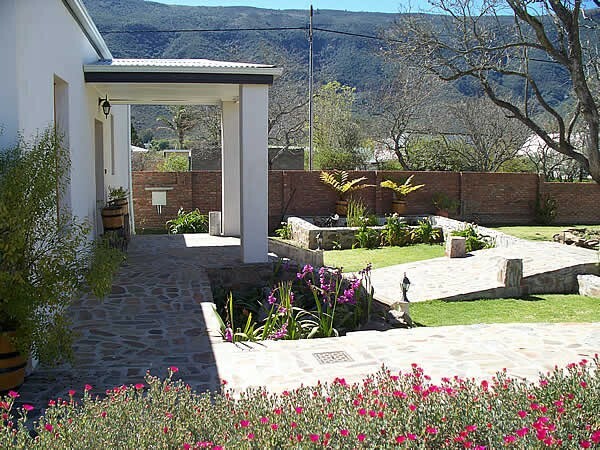 Being a totally private venue it is ideal for select corporate functions. The pub is fully licensed. Food can vary from a full three course meal to finger snacks. Contact us to discuss your needs.